By James Holoboff, M.Sc., P. Eng. Note: this article applies to HYSYS 2006.5 and earlier - in v7 Aspentech introduced reboiler options in the Input Expert. Nevertheless, our conclusions are essentially the same. When modeling a column in HYSYS, it is convenient to use the standard templates that are available from the object palette, which allow you to add columns with or without condensers and reboilers. 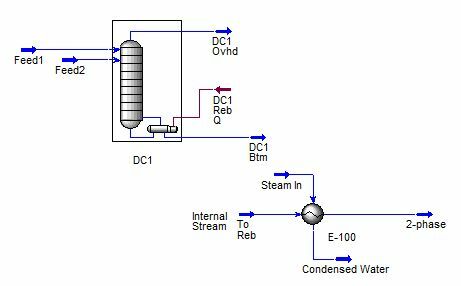 The standard condenser and reboiler models use a duty stream to represent the cooling or heating applied. If you wanted to model the condenser and reboiler more rigorously, you could replace it with a heat exchanger. Process Ecology’s experience indicates that while we have used all of these strategies successfully, option 3 is usually best for convergence. All three of these options are discussed below. On the surface, this is an appealing method – as the column internals are dealt with in the column subflowsheet and there is no need to add additional equipment in the main flowsheet. However, it can be much more difficult to converge a column with additional equipment in the column subflowsheet and it is not recommended for novice users. In addition, there are limitations; for example, the steam rate cannot be directly calculated since all feeds to a column – which include “Steam In” – must be fully defined. Also, in the column environment the heat exchanger is modeled as an “End Point” exchanger, with no apparent way to change the method – meaning that the heat curves are linear and may not properly model the phase change occurring in the exchanger. 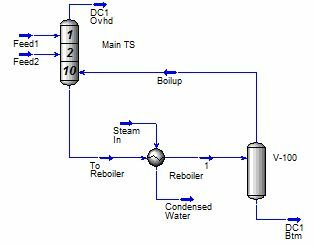 To get around these problems, one could simulate the reboiler in the main flowsheet – modeling the column as a simple absorber, and simulating the reboiler equipment outside of the column. Perhaps the simplest method is to use an “Internal Stream” to create a duplicate of a column subflowsheet stream in the main subflowsheet, then model the heat exchanger in the main subflowsheet. The details of adding the internal stream are discussed later in this article. The biggest advantage of this method is the simplicity – it is easy to set up, the column subflowsheet is left as is, and no recycle operations are required. It is also noted that every time the column converges, the internal stream will also be updated. The disadvantage is that it makes the flowsheet somewhat more difficult to interpret – to another user it may not be clear how stream “To Reb” is being solved. The methods and their advantages/disadvantages are summarized below. We believe that the simplest and most effective method is to model the heat exchanger in the main flowsheet using an Internal Stream. The model can be documented to help ensure that the source of the Internal Stream is clear. Do you have questions or comments regarding this article? Click here to contact us. James Holoboff, M.Sc., P. Eng. James has over 25 years of experience in process engineering and emissions management for the chemical and petroleum industries. He brings a strong background in the development and application of computer simulation models to oil & gas industry challenges. James worked for Hyprotech/Aspentech for almost 10 years in various capacities including Global Technical Support Manager and Business Development Manager for the Project Services Division. He then spent 5 years providing process engineering and simulation consulting to a number of operating companies and engineering firms. 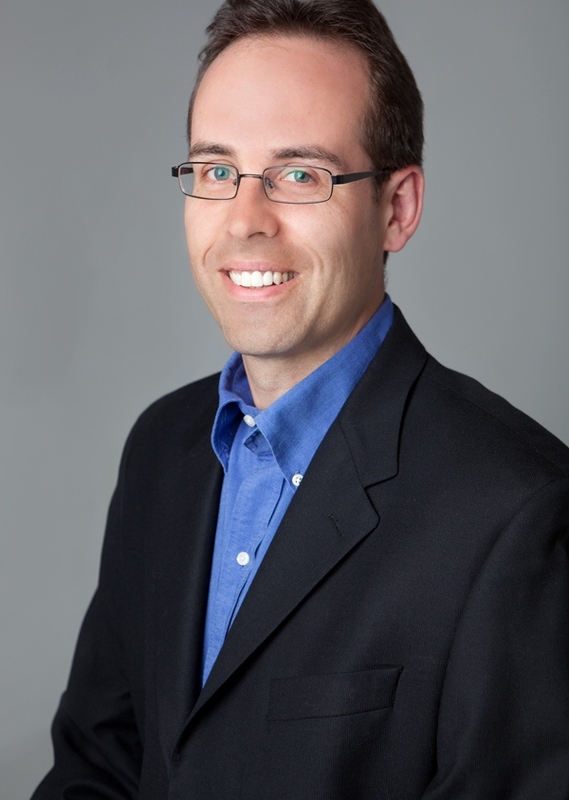 James has been a Managing Partner for Process Ecology for 10+ years, during this time providing process engineering services, emissions reporting, project management, and software development support. James is a Chemical Engineering graduate from the University of Calgary and holds a MSc in Chemical Engineering from the same institution. In his spare time, when he’s not playing ice hockey or cycling, he is recovering from injuries incurred from those sports.